Have you been wondering how you can tighten up those eyebrow, chin and neck areas without having to go through surgery and a time-consuming recovery process? Ultherapy® might be just the thing for you especially with summer around the corner. Here I am getting treatment and it works! As the only FDA-cleared, non-invasive treatment for lifting and tightening skin on the eyebrow, face and neck – and now the décolletage lines and wrinkles, Ultherapy helps promote and maintain natural collagen stimulation within the deeper levels of the skin, leaving you with visibly tighter skin and fewer lines and wrinkles. • Focused ultrasound technology bypasses surface layers of the skin to stimulate deeper levels, unlike lasers that primarily concentrate on the surface alone. 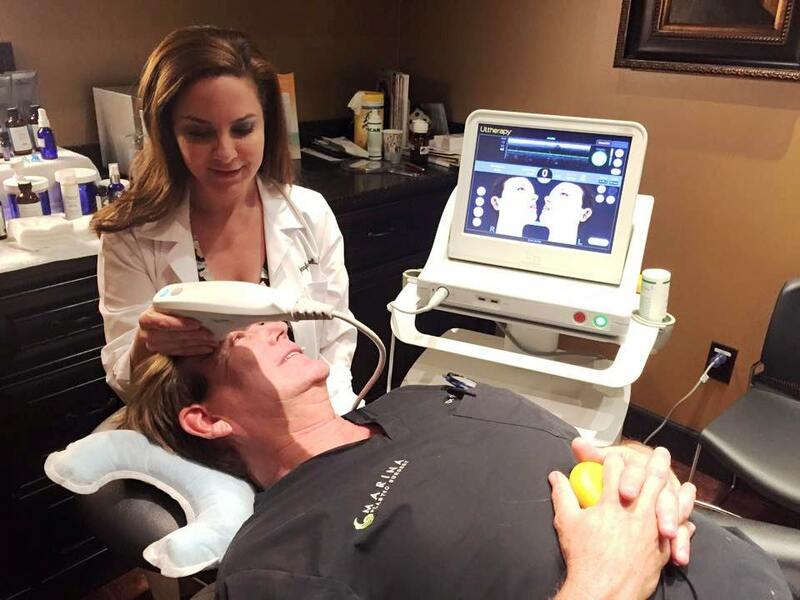 • Non-surgical, noninvasive technique allows for no downtime after, and long-lasting results. • Procedures range from only 30 minutes to one hour. • Naturally targets your deeper skin layers to promote your own collagen production, which continues to smooth skin’s appearance gradually for up to three months afterwards. • Ultrasound imaging allows practitioners to see layers of tissue they’re treating, which ensures that energy is delivered where it’s needed most. Contact us at Marina Plastic Surgery (310) 827-2653 to get more information about how Ultherapy can safely and naturally improve your skin. Check out our website for more information here http://bit.ly/1zTppkh.